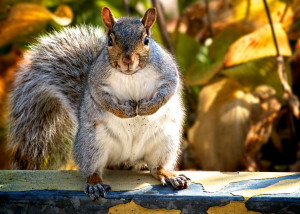 Squirrels have long been the cause of damage to property for people in the United States. These critters might appear adorable on the outside, but they are responsible for causing major damage both inside and outside a home. Even if you come up with a plan to protect your home from ground squirrels, it will be a challenge to keep your property secured from flying squirrels that can glide up to 295 feet. Squirrels are troublesome, especially if they find a way into your home. They urinate in attics, chew through sheet rock, bite onto wires, and more. With a squirrel in your home, you can expect to incur a lot of damage to your property that also requires spending lots of money on repairs. Therefore, calling a professional squirrel removal expert in Westchester County, NY, helps prevent damage to your property. The amount of trouble that ground squirrels and flying squirrels cause can result in greater expenditure on repairs and replacement. However, if you call a professional in time, you will be able to get rid of these mischievous creatures without spending much. Professional squirrel removing companies have appropriate equipment and proper training to evacuate squirrels by setting up squirrel traps wherever necessary. Squirrels not just chew onto your belongings, but also defecate and urinate inside your home. Their feces and urine can cause a range of health issues that are dangerous to humans. By calling a pest control professional for grey squirrel evacuation, you can rest assured that your house is clean and hygienic. Contact Pinnacle Wildlife Control for a range of squirrel removing services and pest control services.